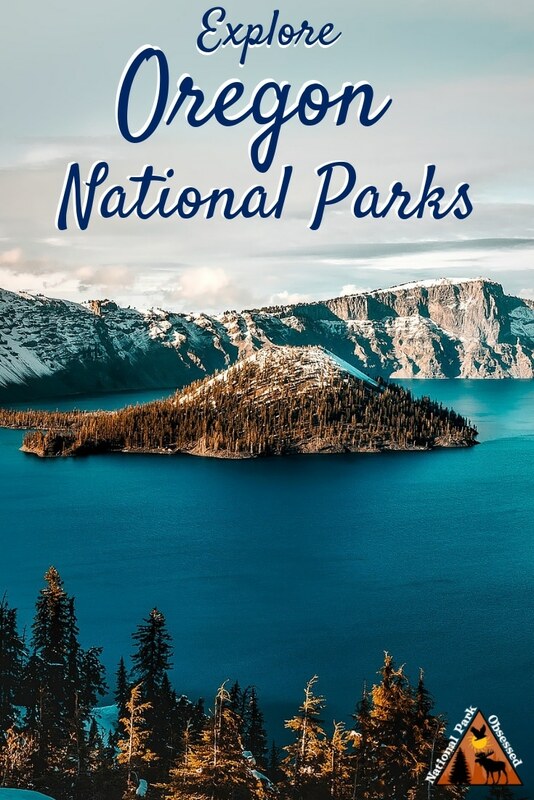 There is currently six National Park Service Site in Oregon and four associated sites. 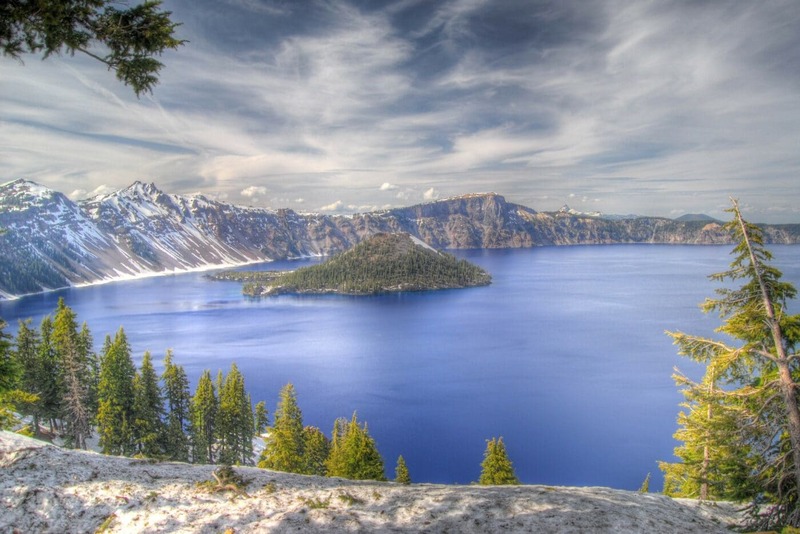 Crater Lake National Park is both a giant lake and a mountain. Kind of, it is a giant lake in the caldera of a destroyed volcano. 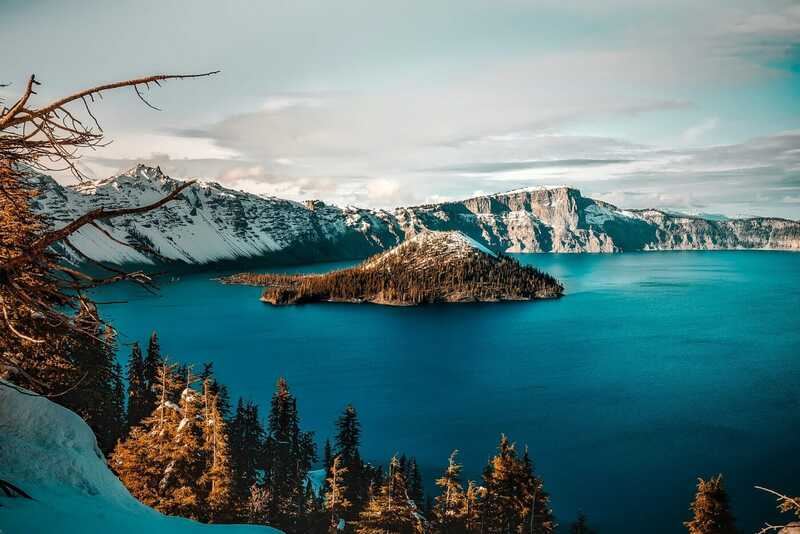 About 7,700 years ago, Mount Mazama stood about 11,000 ft. During a particularly violent eruption, Mazama blew her top off and created a large caldera. Over time, the caldera filled with water from rain and snow. The filled caldera is Crater Lake. At it is 1,949 feet (594 meters) deep. The bright blue the lake is caused by the purity of the water. 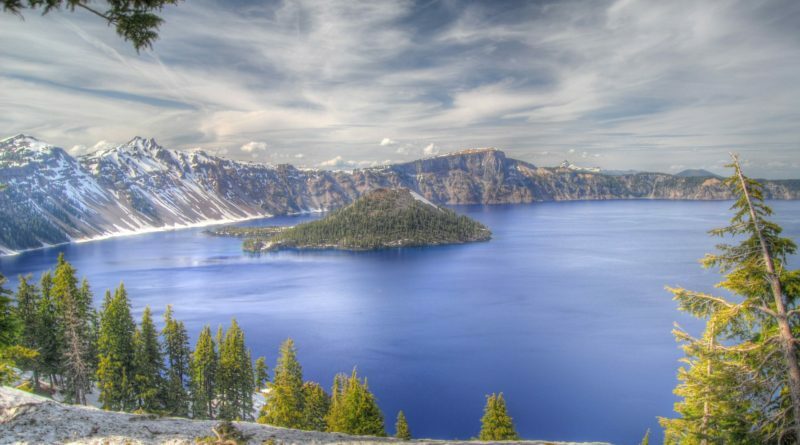 Crater Lake has no streams or rivers flowing into the lake to bring sediment or pollution. The lake has no native fish. In 1888, several species were stocked. The lake water is always cold. During the summer, the surface can reach 60 F (15.6 C). The park offers boat tours of the lake and a shuttle out to Wizard Island. 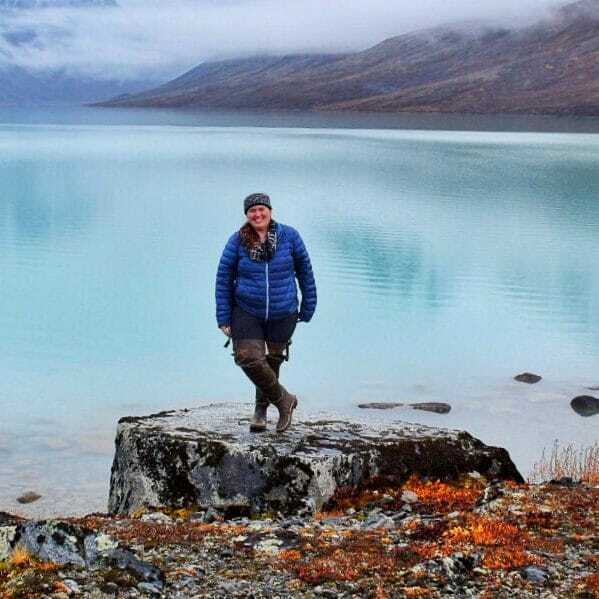 If you insist on swimming in the lake, one hiking trail leads below the rim to the surface of the lake. 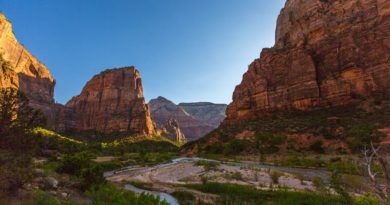 Other park activities include hiking many trails along the rim or surrounding forest. Fort Vancouver National Historic site is the former headquarters of the Hudson’s Bay Company’s Pacific Coast fur trading operations from 1824 until 1860. The Fort was bustling with people from around the region. The area was home to the first Pacific Northwest formal school, hospital, and library. The fort was developed by John McLoughlin. Today, the original Fort Vancouver is destroyed by fire and time, but a modern replica has been created on the site. All structures are in their original locations. During the summer, visitors can see weapons demonstrations and living-history programs. Fort Vancouver National Historic Site has three units. One is the main fort. The second site is the McLoughlin House National Historic Site. John McLoughlin is often remembered as the “father of Oregon.” McLoughlin was the head trader for the Hudson’s Bay Company and donated large sums of money and land to the development of the Oregon Territory. The third site is the Pearson Air Museum. Pearson is a small aviation museum which looks at the history of the Pearson Air Field and Vancouver Barracks. 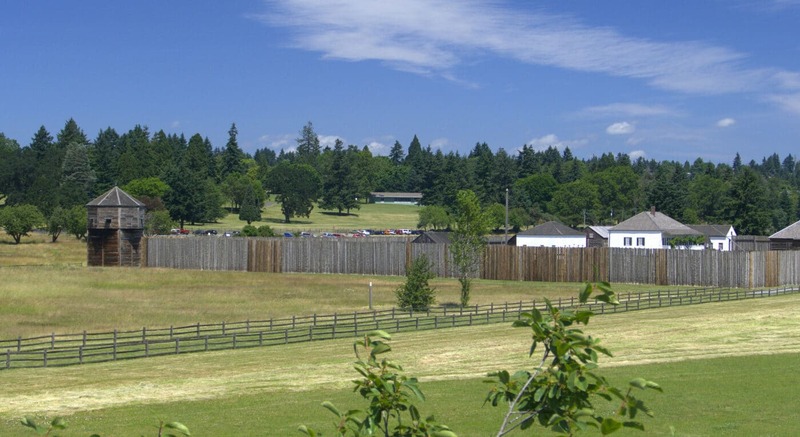 Fort Vancouver National Historic Site has created a National Monument in 1948. The site is located in both Oregon and Washington It became a Historical Site in 1965. McLoughlin House National Historic Site was created in 1941 and it was added to Fort Vancouver NHS in 2003. McLoughlin House is a stop on the Oregon National Historic Trail. 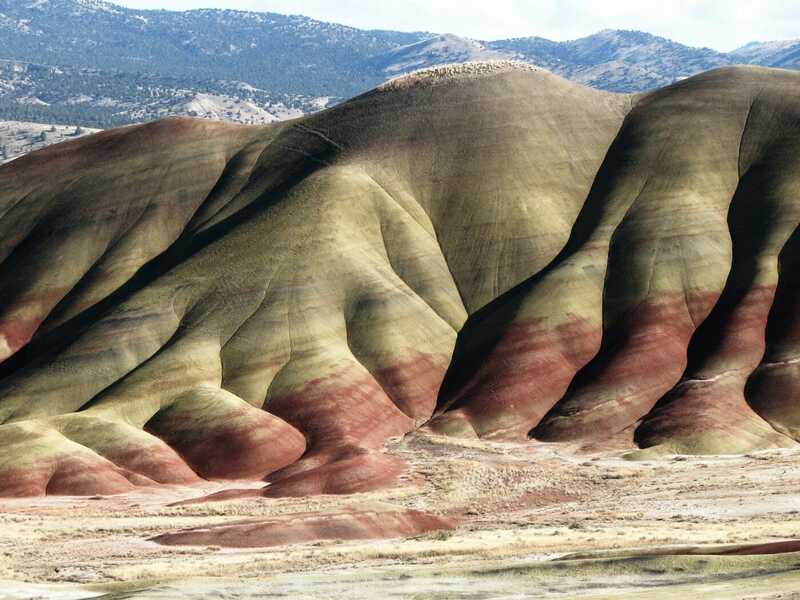 John Day Fossil Beds National Monument is made up of three units in east-central Oregon. Each of these units protects an important geological fossil layer from about 45 million years ago and 5 million years ago. 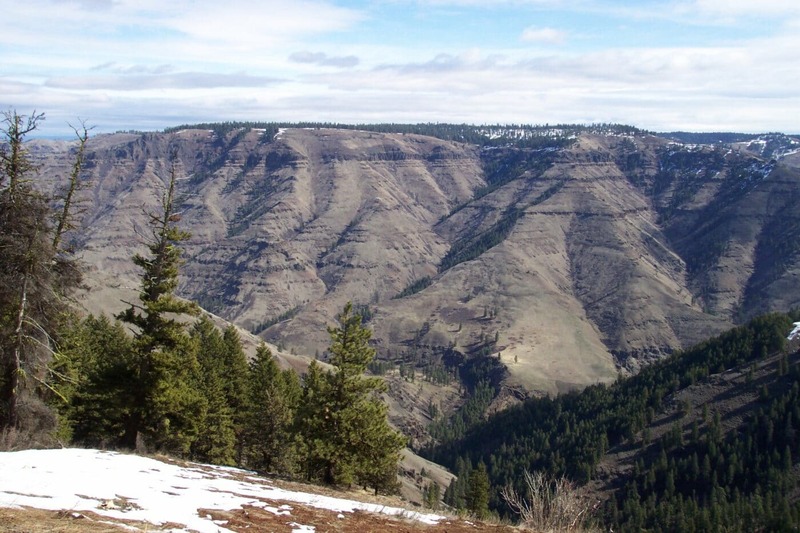 Today John Day is a semi-desert shrubland with colorful badlands and a riparian zone in the John Day River Basin. 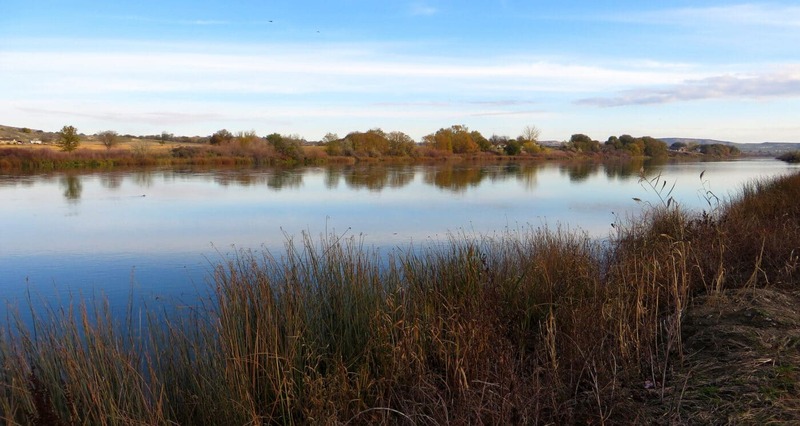 The area supports a range of flora and fauna from cactus to grasslands to willow trees. Over 50 species of birds have been seen in the park along with a range of mammals such as elk, raccoons, and coyotes. The three units are Clarno, Painted Hills and Sheep Rock. The main visitor center is located in the Sheep Rock unit. Sheep Rock and Painted Rock is 45 miles apart. Painted Rock and Clarno is 75 miles, and Clarno to Sheep Rock is 81 miles. The state of Oregon bought the land in the 1930s and created state parks. 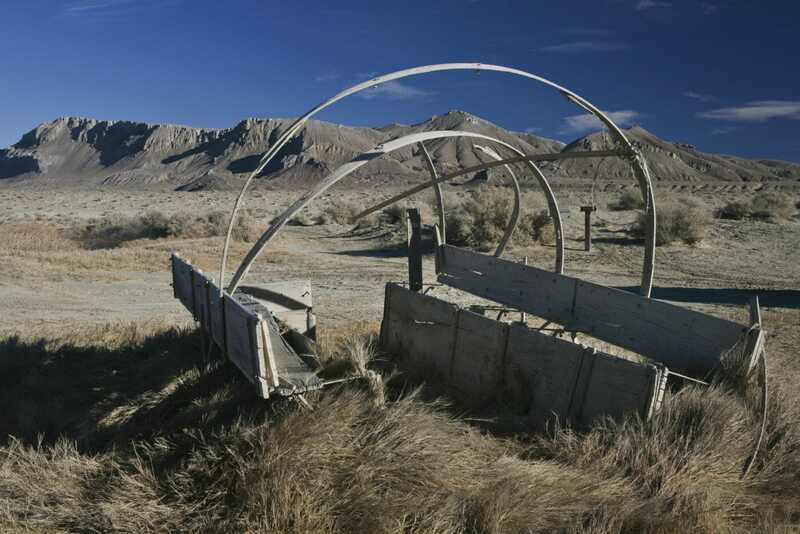 On October 8, 1975, the three state parks were combined to make John Day Fossil Beds National Monument. Lewis and Clark National Historical Park preserves the Lewis and Clark Expedition’s 1805-1806 winter encampment site. 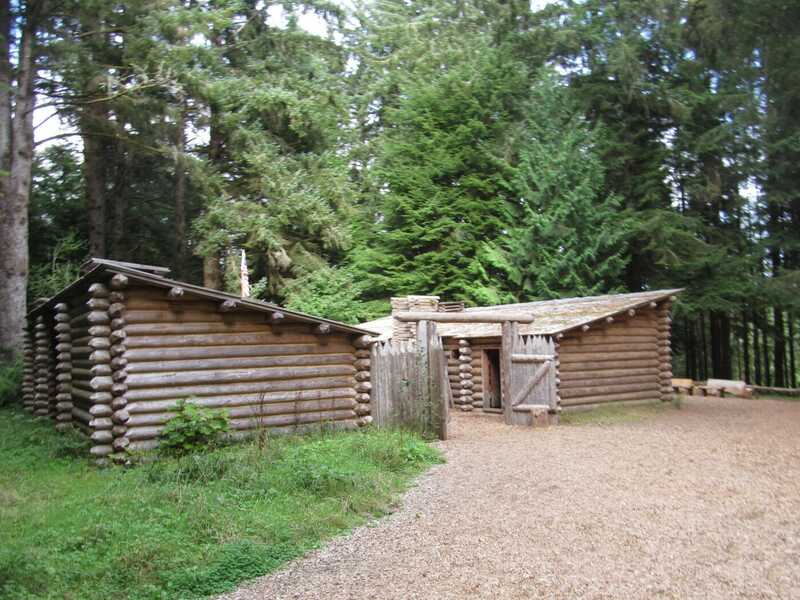 The area protects a replica of Fort Clatsop and other sites associated with the encampment. These sites include the Fort to Sea Trail, Clark’s Dismal Nitch, Netul Landing, Saltworks, and Station Camp. This site celebrated the completion of Lewis and Clark’s Corps of Discovery. They reached their goal of reaching the Pacific Ocean. 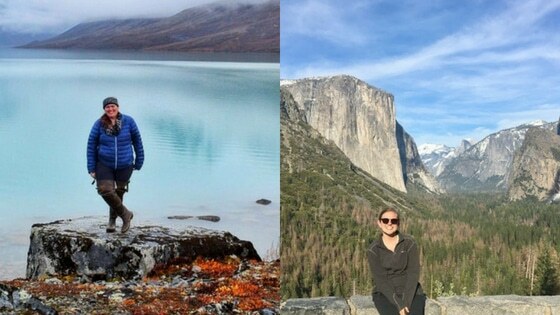 Once here, they spent the winter before heading home to share their discoveries. They built a small fort called Fort Clatsop for the winter. While there, they developed relationships with the indigenous people before heading back east. When they left Fort Clatsop, they turned the fort over to the local tribe. Lewis and Clark National Historical Park was established in May 29, 1958, as Fort Clatsop National Memorial. On October 20, 2004, the park was expanded and renamed Lewis and Clark National Historical Park and includes sites in both Oregon and Washington. The Nez Perce National Historical Park follows the Nez Perce people’s traditional lands and history and their resistance to the United States government’s forced relocation. The park contains 38 sites in Idaho, Montana, Oregon and Washington. The park is headquartered in Spalding, Idaho. It was created on May 15, 1965. Management of the 38 sites is split between NPS and several other federal and state agencies. There are four sites in Oregon. These are Dug Bar, Joseph Canon Viewpoint, Old Chief Joseph’s Gravesite, and Lostine Campsite. Hidden under the Siskiyou Mountains is a unique cave system. Oregon Caves are not your typical cave. Instead of being formed in limestone, it is formed in marble. Only a handful of US caves are made in marble. While the marble was formed over 160 million years due to pressure and heat, the care is estimated to be a couple of millions of years old. This amazing cave is protected by the Oregon Caves National Monument and Preserve. This monument preserves and protects the Oregon Cave system and the biodiversity of the Siskiyou mountains. 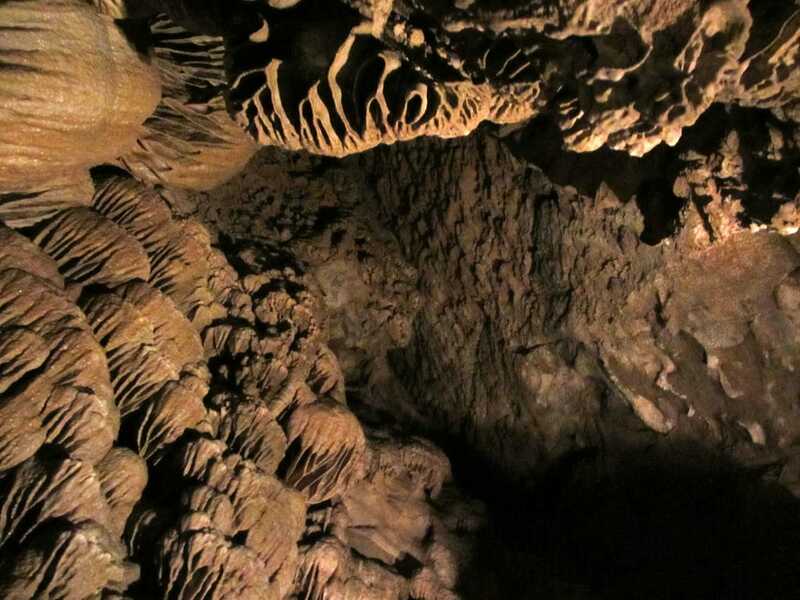 Visitors to Oregon Caves can take guided tours of the cave along with a range of hiking. Guests can spend the night at the historic Chateau at Oregon Caves. Oregon Caves National Monument and Preserve was created in 1909. The site was transferred to NPS in 1931. The California National Historic Trail is a massive 5,000 mile trail and runs thru 10 different states. This trail retraces the overland routes over 250,000 emigrants took to reach the fertile farmlands and famed gold fields of California in the 1840’s and 1850’s. Unlike some of the other trails of the National Trails System, the California Trail isn’t a single hiking trail. It is a disconnected series of hiking trails, roads, and sites. Many of the US highways follow the wagon trail the settlers created as they rushed to California. Emigrants had a choice of routes across the United States. These trails start in Missouri and Nebraska. The then run thru Kansas, Colorado, and Wyoming before splitting into Idaho and Utah. They go thru Nevada and into California and Oregon. The Ice Age Floods National Geologic Trail will massive auto/hiking trail that follows the geological effects of the last ice age. 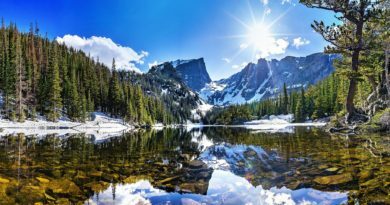 The trail branches out and sections run thru the states of Washington, Oregon, Idaho, and Montana. The trail was designated in 2009 and much of the trail is still being formally developed. At the end of the last ice age, a sheet of ice blocked several important rivers such as Clark Fork and the Columbia. These ice dams caused the water to back-up and created massive flooding. The effect of this flooding can be seen in massive canyons such as Columbia River Gorge and Wallula Gap. Current stops on the trail include Multnomah Falls, Farragut State Park, Beacon Rock State Park, and Dry Falls/Sun Lakes State Park. The Lewis and Clark National Historic Trail follows the route Meriwether Lewis and William Clark took across the United States’ newly purchased territory. The trail starts at Camp Dubois, Illinois and passes thru Missouri, Kansas, Iowa, Nebraska, South Dakota, North Dakota, Montana, Idaho, Oregon, and ends in Washington. The trail is a combination of auto, land and water routes. The Lewis and Clark expedition started in May 1804 with the goal to find a practical route across the western region of North America. They were to lay claim to these lands to limit European expansion. The expedition was a success. Lewis and Clark crossed the Louisiana purchase and made it to the Pacific Ocean. They recorded the plants, animals, and landscapes as they traveled. They laid the foundations for future relationships with the American Indian tribes of the relationships. The trail was established on November 10, 1978. There are over 100 stops along the trail. The Oregon National Historic Trail is often called the Oregon Trail. This 2,170-mile trail was used to travel from Independence, Missouri to Oregon Territory. These men and women headed west to fertile farmlands. The first half of the trail was used by travelers on the California National Historic Trail and the Mormon National Historic Trail. 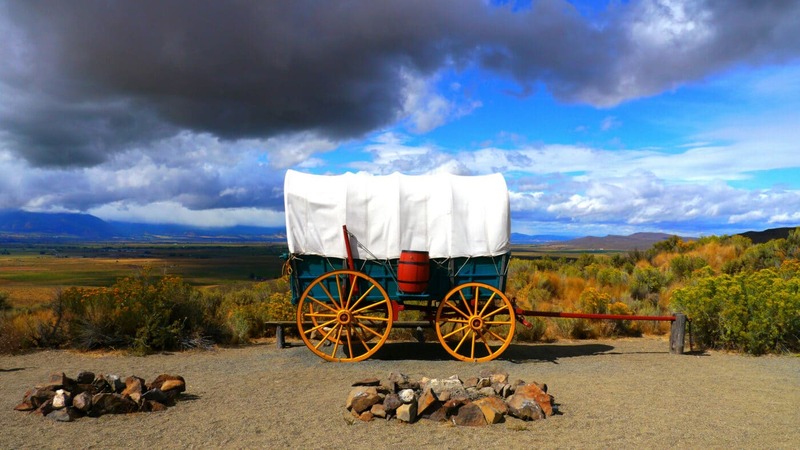 Roughly 400,000 people packed up their lives into covered wagons to follow the Oregon Trail. 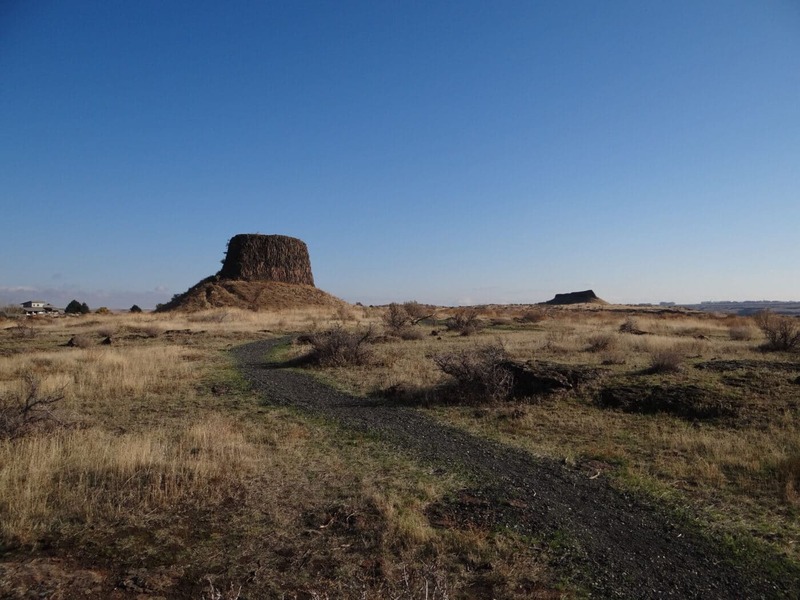 Several stops along the Oregon Trail are their own national park sites such as Scotts Bluff National Monument, Fort Laramie National Historic Site, Hagerman Fossil Beds National Monument, and Fort Vancouver National Historic Site. Many other sites are within a couple hours drive of the trail. Today, the trail runs thru Missouri, Kansas, Nebraska, Wyoming, Idaho, Washington, and Oregon. The Oregon National Historic Trail is mostly an autoroute.